When you spend all day looking at selects, inserts, updates, functions, views, and stored procedures, your perception of the world can get a little skewed. After a long day of SQL, I’d find myself in the supermarket thinking select t.tea from tea_and coffee_section as t where manufacturer = ‘tetley’ and type = ‘earl_grey’ order by price desc. After a while, I decided to move on and start learning Ruby on Rails. Boom! I discovered ActiveRecord! Wow! 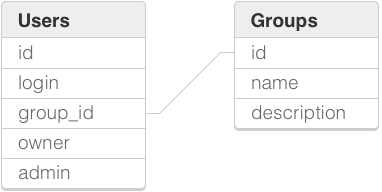 No fuss SQL and Ruby code, cool. But this incredible discovery turned sour when dealing with more complex queries. My co-workers and I found a solution to our pains: Ruby Sequel. Well, it’s partially a matter of taste. It would be unfair to say: “Sequel is the best and ActiveRecord is for SQL ignoramuses” because this is simply not true. Active Record is supposed to be database-agnostic, which is good in some cases. But, realistically, having an application with more than 10 models, we won’t be changing the database engine to anything else. And since we won’t change the database engine, why not use database specific features? Hooray! We had found a remarkable gem, but how did we migrate to Sequel in an application with more than 30 ActiveRecord models? rewrite features one by one. I don’t have to explain why the first option is bad - every day someone wanted some new major or minor feature. So we took the second option. I hope you found my solution useful! In case you did - would you care to spread the word and retweet this article? Many thanks, I'd really appreciate that!